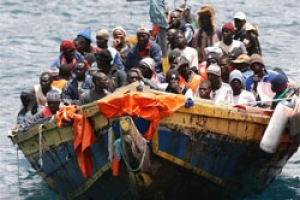 European Court of Human Rights condemned Italy for the refoulements of African refugees. Non-refoulement is a fundamental principle of Asylum and International Refugee Law. It is the right of refugees to be not sent back to places where their life or freedoms could be endangered. While Political Asylum applies to people who could suffer persecution based on their membership in political, social or ethnic groups, it concerns the generic refoulement of refugees coming from war zones or disaster areas. The principle of non-refoulement was enshrined in the United Nations Convention Relating to the Status of Refugees of 1951, which defines who is a refugee, his rights and the obligations of contracting states. According this Convention "Refugee is a person who is outside the country of his nationality and is owning to a well-founded fear of being persecuted for reasons of race, religion, nationality, membership of a particular social group or political opinion in that country; or who, not having a nationality and being outside the country of his former habitual residence, is unable or, owing to such fear, is unwilling to return to it. A refugee has the right to be free from penalties relating to the illegality of their entry to or presence within a country. In fact, Article 31 of the Convention establishes that the contracting states shall not impose penalties on refugees who enter or are present in their territory without authorization. No contracting state shall expel or return ("refouler") a refugee in any manner whatsoever to the frontiers of territories where his life or freedom would be threatened (Art.33). Even the European Court of Human Rights has repeatedly held that the refoulement of refugees violates Article 3 of the European Convention on Human Rights. In fact, according the Court, states cannot deport or extradite individuals who might be subjected to torture, inhuman or degrading treatment or punishment in the recipient state. For this reasons, in February 23, 2012 it condemned Italy for the refoulments of Africans to Libya of Gaddafi.